In the February issue, we talked about the possible Uberization of the pest management industry. Now, let’s explore more disruptive technologies that could broadside you — such as online reviews. 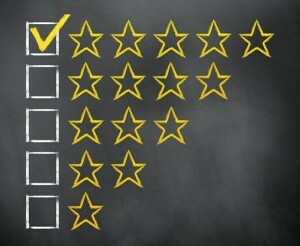 Reviews can be great, or disruptive to a business if they’re not overwhelmingly positive. You must have a system in place to get customer feedback, such as a report card or quality control team members who follow up with the services your company provides to ensure your customers are happy. You must also have a process for how to handle the reviews you receive, both good and bad. Having someone on your team to respond to all reviews is good, but to be great they’ll need to have diplomacy in their responses to those in the negative category. On a scale of 1 to 5, with 5 being the best, what is your star rating for our overall service? On a scale of 1 to 10, with 10 being the best, was the technician professional and informative? How likely is it you would recommend Johnson Pest Control to a friend? The choices are: Not Likely, Neutral and Extremely Likely. That’s it. The very moment the customer responds, we get an email from the system that says “You’ve Got Feedback.” Immediately, my key staff and I can see the positive or negative review and respond with thanks for the feedback — and more importantly, respond within minutes of a bad review. Responding within minutes to a bad review is very powerful. We had one review that wasn’t really all that bad, but the customer still had a problem. Within minutes of learning about it, we were on the phone with him to schedule extra service that same day. Needless to say, he was overjoyed with the level of customer service he received and posted a new, positive review. One of the best reviews we received was from a customer who had previously placed a scathing call to our office to complain about something. We responded and went out to rectify her problem. She was turned into a customer for life. She even did a YouTube video to post on our website about how happy she was with the service she received from us. Today, everyone is bombarded with questionnaires and surveys from all directions, many being too long and asking for 10 or more minutes of their time to answer questions about every aspect of their experience. The real secret to getting responses is to only ask a few questions. I suggest three or less. Keeping your report card short will ensure a better chance of getting a response. And remember, responding to all reviews is the key. You can reach Ray Johnson, a past president of the National Pest Management Association (NPMA), president of Sevierville, Tenn.-based Johnson Pest Control, and founder of ACES for Business at ray@johnsonpestcontrol.com.